Assistant Professor, Pharmaceutical Sciences, University of Findlay, Ohio, USA. Dr. P.S.Shantanu Rao received his PhD in Medicinal Chemistry from the University of Toledo during the period of 2006-2011. Currently, he is working as an assistant professor in the department of pharmaceutical sciences at the University of Findlay. He has received four years of postdoctoral training and his research focuses on the evaluation of beta lactam antibiotics in the regulation of ethanol intake in P rats and the effects of drugs of abuse in HIV systems. He is serving as an editorial member of several reputed journals like Biochemistry Pharmacology: Open Access and SRL Pharmacology & Therapeutics & expert Reviewers for journals like Frontiers (Neuropharmacology), and Frontiers in Microbiology. 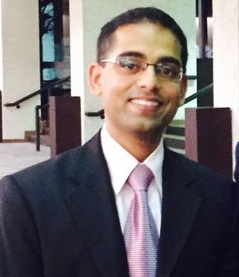 Based on his graduate and postdoctoral research work, Dr. Rao has authored 20 research articles and one book chapter.